× IMPORTANT NOTICE! The International Office at UiT does not have the power to decide over immigration matters. Students are therefore advised to follow up with their own case at the Norwegian embassy, consular services or UDI, and make sure that all the required documents are submitted correctly. 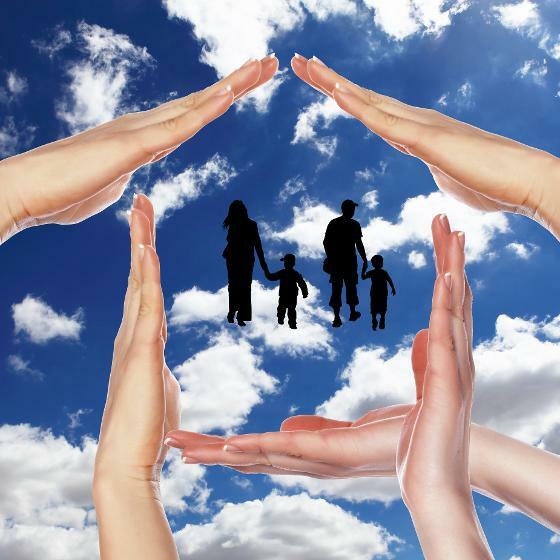 Family immigration is a time-consuming process and may take up to 5-9 months to complete. The challenges around this question are mostly related to economic issues, and it concerns students from outside the EU/EFTA area. If you are from a high-cost country like Norway (e.g. Australia, New Zealand, USA, Canada or Japan), this may not be very challenging financially. However, citizens from low-cost countries find that Norway is extremely expensive. Requirements for family reunification set by the Norwegian Directorate of Immigration (UDI) are a minimum annual income of NOK 256 256 (subject to change every year). Moreover, a confirmation of appropriate family accommodation in Norway is needed. For detailed information about the requirements, please visit the UDI WEBSITE. Application for reunification made after arrival in Norway is not recommended, as the processing may take around 12 months and may not be completed during the period of your studies. The university and the Student Counselling Centre have no authority with UDI related to family reunification. UDI does not prioritise applications from family members if these are not sent together with the student's application. Our housing guarantee (as stated in your Letter for Visa Purposes) applies ONLY to single rooms NOT family flat studios. If you intend to apply for a family appartment, you must notify the Housing Department. NB! Family flat studios are very limited. Applicants for family apartments are usually put on a long waiting list, so it will take several weeks to get a final answer. We therefore strongly advise you to consider finding an apartment on the private market. Many students decide to leave their spouses and/or children behind in their home countries in order to come to Norway for studies. Leaving your spouse/children behind is often hard. However, based on experience, it seems that those who have planned to leave their loved ones behind during studies here in Norway are more emotionally prepared for the temporary separation than those who intend to apply for family immigration. If you need to talk to an expert about your emotional difficulties, please visit our Student Counselling Centre. This service is free of charge for students, is handled by professionals and is completely confidential. If you are more than three months pregnant, we strongly recommend that you contact the International Office to check whether it is possible to defer your study place until the next academic year. Based on our experience, it is very difficult for pregnant students without sufficient family network in Norway to maintain their study progression the month prior to giving birth and during the first few months after giving birth. The delay in the study progression creates difficulties with the immigration authoritiy. NB! Please be advised that most funds through social security rights in Norway are connected to your student status. You must have been a student in Norway for at least six months to be eligible for childbirth benefits. The Arctic Student Welfare Organisation of Norway runs several kindergartens for students’ children aged 0-6. Kindergarten fees in Norway are not covered by the state. However, at the Student Welfare Organisation's kindergardens, students may apply to pay reduced parental fees. The full price for a full-time place for one child is NOK 2,665 and part-time (50%) place is NOK 1,505. Sibling discounts are offered if you have more than one child. The Student Counselling Centre offers individual counselling, information and some social events for students at UiT The Arctic University of Norway. During difficult times in life, talking to a professional can be useful. It can help you sort your own thoughts and feelings, find solutions and make positive or necessary change in your life.